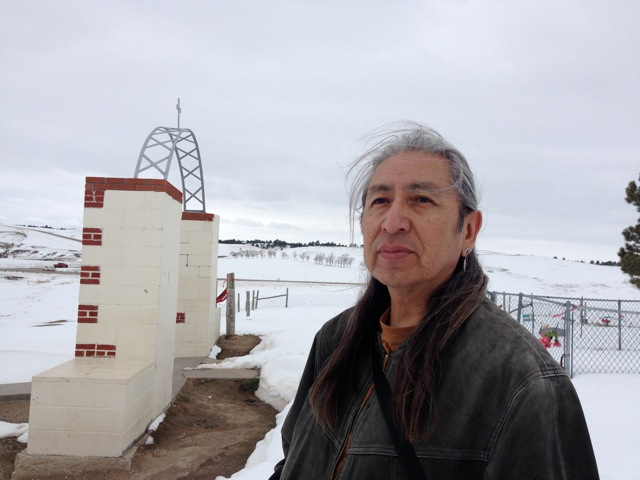 Nathan is an enrolled member of the Oglala Lakota Band from the Pine Ridge Indian Reservation, SD. Nathan’s paternal grandfather Charles Blindman at the age of 10 survived the Wounded Knee Massacre of 1890 with his mother and younger brother. February 2013 a local native owned newspaper headlined a story that the current deed holder (a non-Indian) was asking 3.9 million dollars for part of the massacre site. Two of the Wounded Knee Massacre descendants of survivors Linda Hollow Horn and… Nathan Blindman stepped forward to address the sale, which was using the massacre as a commercial selling pitch. In researching the original sale (to non-tribal members w/non-Indian investors) in 1930, Nathan discovered that important information about the land was not mentioned anywhere in the documents. Because the original sale took place 83 years ago, which some would consider it to be an “old stale file.” Or for that matter it doesn’t have any merit and what forum would you present it in? Nathan feels that the omission of important information about the original land sale is suspicious, and the Bureau of Indian Affairs who handled the land sale should audit every aspect the 1930 sale, which includes the investors and the bank who gave the loan to purchase the land.